Nevada is a community property state, with a presumption of equal division upon divorce; that presumption can be overcome only for “compelling circumstances,” such as the financial misconduct of wasting or secreting assets during the divorce, or the loss, destruction, or unauthorized gifts of community property. Normally, all property acquired after marriage by either spouse is considered community property. Spouses are considered to have a “present, existing, and equal” interest in all community property. It is also possible for spouses to co-own property in other legal forms, such as joint tenancy or as tenants in common. There are special rules concerning property acquired by a couple while living in another state, since Nevada does not have a quasi-community property law. It is possible for property to have a mixed character, so that there is a community property interest in separate property, or a separate property interest in community property. When property of one type is mixed with property of the other, it is “commingled.” The Nevada Supreme Court has issued many decisions over the years stating what presumptions apply to such commingled property, and whether, how much, and under what conditions it can be “traced,” or redirected from its titled form of ownership back into some other form. 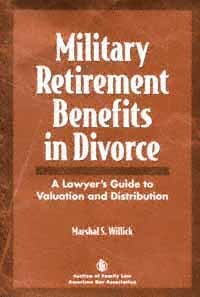 Pension plans, including IRAs, 401(k) accounts, Civil Service retirement (under CSRS or FERS) and its Thrift Savings Plan (TSP), and military retirement benefits are all considered community property to the extent acquired during marriage, to be divided upon divorce. There is a special statute, NRS 125.155, governing division of benefits under the State of Nevada Public Employees Retirement System (PERS), but those benefits are usually divided the same way as other retirement benefits. Most private employee-benefit plans are qualified under, and governed by, the Employee Retirement Income Security Act of 1974, known as “ERISA,” and the 1984 Retirement Equity Act (“REA”). Under these laws, division of qualified plans requires a special kind of order, known as a Qualified Domestic Relations Order, or “QDRO,” which have very specific and complex rules. This office drafts its own QDROs in the cases we handle, rather than shipping them out for production by third parties, as many law offices do. Under both private and public-sector retirement benefit plans, it is very important upon divorce to consider, and explicitly deal with, the issue of survivor’s benefits (i.e., money payable to the spouse if the wage-earner dies). Failure to do so can result in a loss of all benefits. The attorneys in this office have written and lectured extensively on pension division matters. Some of those works are referenced below; others can be reviewed on our Published Works page, and our Military Retirement Benefits page. Normally, all property divisions are final when a Decree of Divorce is filed, and cannot be re-examined once another six months has passed. There are exceptions. Clerical mistakes can generally be corrected at any time, and it is sometimes possible to set aside the property terms of a decree in the event of fraud or mistake. Additionally, the Nevada Supreme Court has recognized the right to “partition,” or divide, “omitted assets” — assets that were community property, but were not disposed of in the Decree of Divorce. Such cases are very fact-specific and must be individually reviewed to see if a valid case exists. WILLICK LAW GROUP has extensive experience in dealing with every aspect of property division upon divorce. The attorneys of this office have written and lectured extensively on the issues presented by community property in divorce. We act to protect our clients’ legitimate property interests in every case we handle. Form DD 2653 Involuntary Allotment Application for DFAS. A Handbook for Attorneys on Court-ordered Retirement, Health Benefits, and Life Insurance Under the Civil Service Retirement System, Federal Employees Retirement System, Federal Employees Health Benefits Program, and Federal Employees Group Life Insurance Program (United States Office of Personnel Management, Retirement and Insurance Group, rev. ed. July, 1997).